It should come as no surprise that trusty Toppers would take each of SS17's most popular trends and combine them into one to create this dreamy must-have top. You'll have probably seen it alllll over instagram already it's the sweetest. 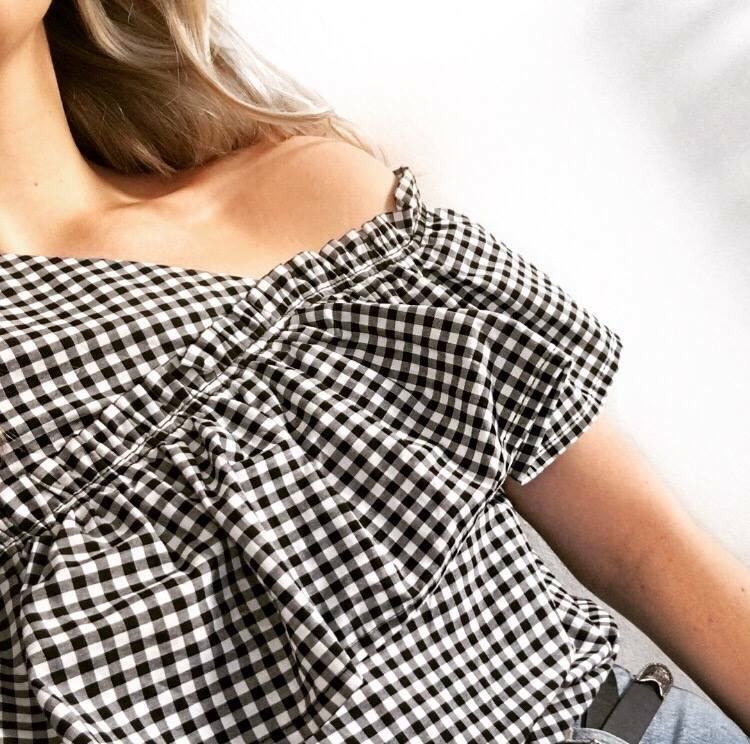 Gingham ✔️ Ruffles ✔️ Asymmetric ✔️ I'm obsessed. You know me, I love a little monochrome and surprisingly my newest obsession isn't a failsafe stripe but rather a paired back update on a previously twee picnic check. Up to last summer I wasn't really into gingham as it was always on more vintage or super girly pieces that weren't really my vibe. So when more classic cuts and trend-led pieces started to come through I got really excited and then, inevitably oh so into it. The paired back vibes of the new-in pieces, especially the ruffled skirt - but more on that one another day - are so up my street. I wore this tee tucked into my favourite Marks & Spencer jeans for dinner over the weekend.